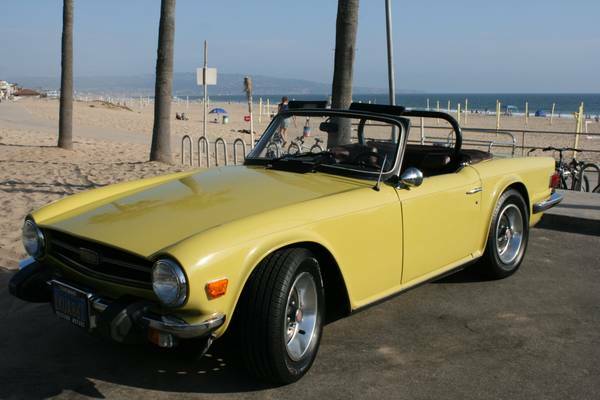 This 1975 Triumph TR6 has been examined on DT before; it was at the Ruby's Diner Cruise at the Beach summer friday car show...featured in our April 2013 writeup. DT cub reporter CFlo couldn't find the owner and there was no price posted, but now we've stumbled across it while combing the web for cheap oil leakers British roadsters. In person it looked like a very solid car, and has rolled only 74k miles in its two owner life. Find it here on craigslist in the LA South Bay area, for $12000 or best offer.